Are you an olive oil lover? Interested in learning about the finer side of this popular healthy oil alternative for your cooking? We have seriously high quality olive oil here at Abundance and we’d like to give you the chance to taste all of them. Join us on Thursday, Jan. 26 from 6-8 pm at the co-op to taste them all! 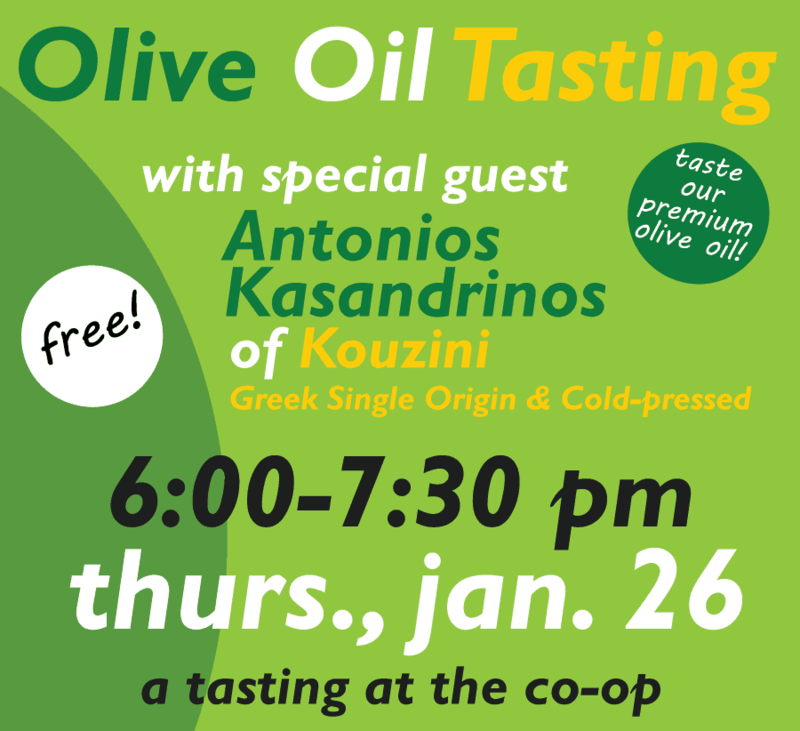 Plus, we’ll have special guest Antonios Kasandrinos, owner of Kouzini. He will be able to answer any question you might have about olive oil. We’re psyched to have special guest Antonios Kasandrinos (pictured below) with us for the tasting. 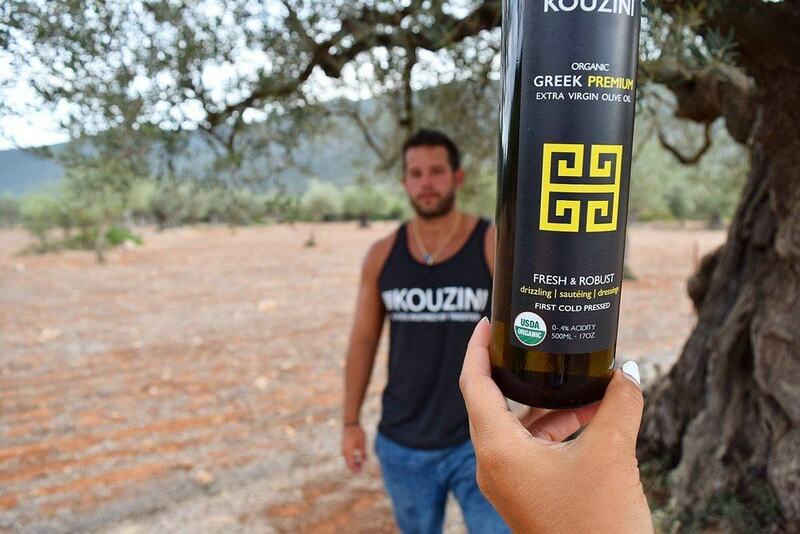 You’ll have the chance to learn about Antonios’s company, Kouzini, which imports a single origin, cold-pressed olive oil made by his family in Greece. Come with questions! Antonios knows a lot about olive oil. For more information, please contact Chris Whitebell at chris@abundance.coop or (585) 454-2667.